Summer means vacation. It also means planning and budgeting. But there's no need to stress over those costs. With a few tricks you can save money on expensive things like hotel stays, food costs, and activities. Look for package deals or savings on hotel stays. Before purchasing, click through Ebates first to save even more money. Here's what this looks like for us: Eat a later breakfast at the hotel and pack a snack and a small lunch bag of cold drinks to take with us when we're out. Eat dinner before 4 pm (eating off the lunch menu if possible) at a place where kids eat free (extra points if you use a coupon!). If we're doing something in the evening we might stop for a snack somewhere or have something back in the room. The only "expensive" part of the day is dinner. Those are some the things I do and websites I visit when we're planning for vacations. 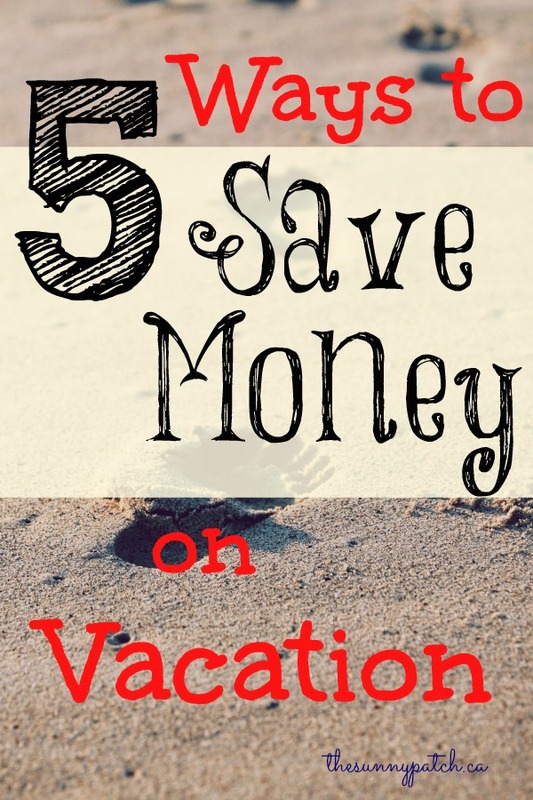 If you're looking for more travel tips, check out my 5 Money-Saving Road Trip Tips.